#roadtrip On the 14th May 2016 Wild Bunch Weddings along with Nadine Kemp Photography and Bobby Jo Ferris Make up artist hit the road and headed to the little out back town of Capella to film Ashleigh and Joel’s wedding day Highlights. It all started on a popular phone app that most people these days use, Instagram. Ashleigh regularly posted her adventures, these adventures sparked the interest of a young man and soon become her number one fan. #joellikesashleigh. That following quickly become a friendship and from that friendship love blossomed. We started with the girls, Ashleigh’s bridesmaids were bustling around with excitement getting ready for the big day. 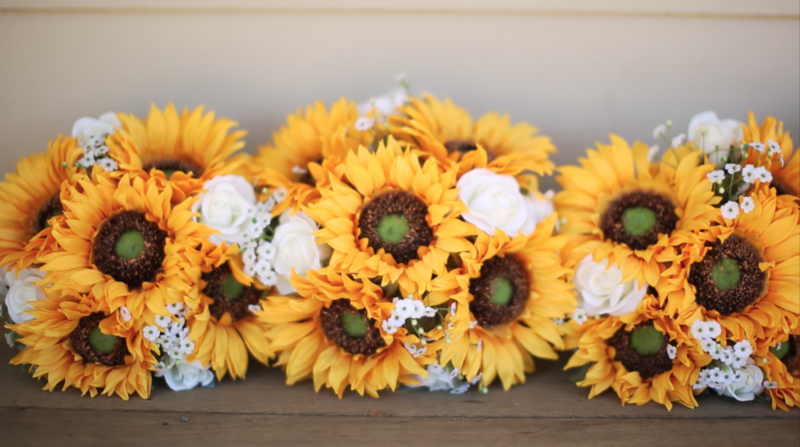 From beautiful sunflowers by Silk Dreams Flowers to cowboy boots and makeup for princesses the girls were looking stunning in their knee length dresses. It was time for Ashleigh to finally complete her transformation and step into her gown by Bridal Reflections Rockhampton. With Shiralee Clydesdales arriving in the drive way it was time for her to make her way to her hashtag prince Joel. While the girls were busy getting ready the boys were relaxing with a few beers. The smile on Joel’s face was evidence of the excitement he felt with soon marrying his love #joelandashleighgetmarriedsoon. With everyone set and ready for Ashleigh’s entrance to the Capella Pioneer Village, Ashleigh arrived in horse and carriage and in the arms of her mum and dad made her way towards Joel who had the biggest grin from seeing his soon to be wife. Their wonderful priest … lead a beautiful ceremony and sealed with a kiss Ashleigh and Joel become Mr and Mrs Kuczynski. 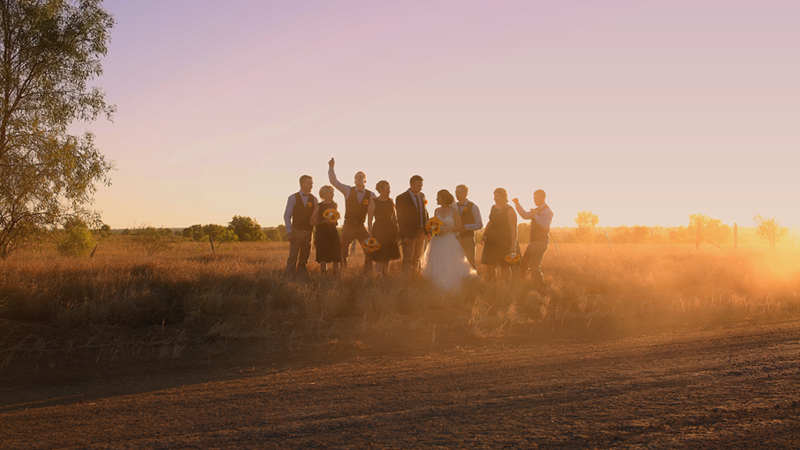 With hugs and cheers from family and friends it was time to head around the countryside of Capella and create some love with the lovely Nadine Kemp, from dust to twilight skies Ashleigh and Joels love radiated and beautiful memories were created. With the sun and dust finally settling for what was a perfect day we headed back to Capella Pioneer Village where their rustic country wedding reception was held for a night of fun and festivities.